When confronted with a headache the first thought is to grab the nearest over-the-counter pain medication and wait for the pain to subside. When that doesn’t work, you are faced with the question of what to do next. Jonette Gozzola NP, a Dallas headache specialist, offers these Do’s and Don’ts for how to respond when a headache comes, and what next steps should be taken. Keep a headache diary. Record level of intensity and frequency of all headaches. A migraine is a condition of the nervous system that can be serious and debilitating. It is not “just a headache”. Help is available for you to control this condition and take back your life. You are a valuable person who people love and appreciate! Let us help you get back to being you! 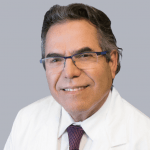 Dr. Jorge Leal, a pain management physician with the Florida Pain Relief Group, has over three decades of experience managing patients’ pain.